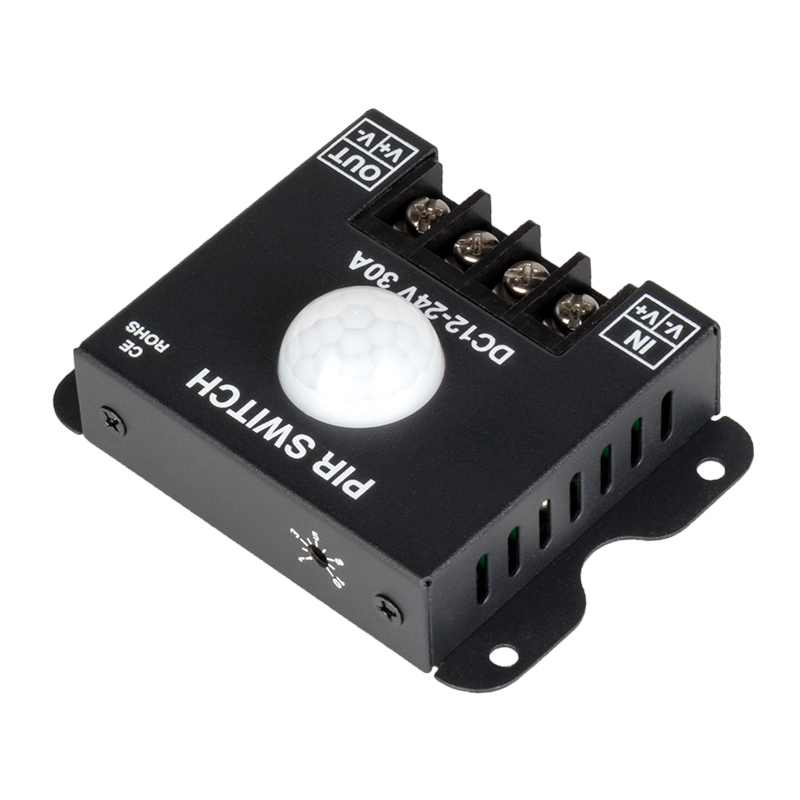 This PIR motion sensor automatically powers on connected 12 VDC or 24 VDC LED lights when human motion is detected. The sensors will power on lights at night or during the day, and an adjustable dial allows your lights to remain on for up to 2 minutes (full clockwise turn to 10 equals 2 minutes, and a full counterclockwise turn to 1 equals 45 seconds). 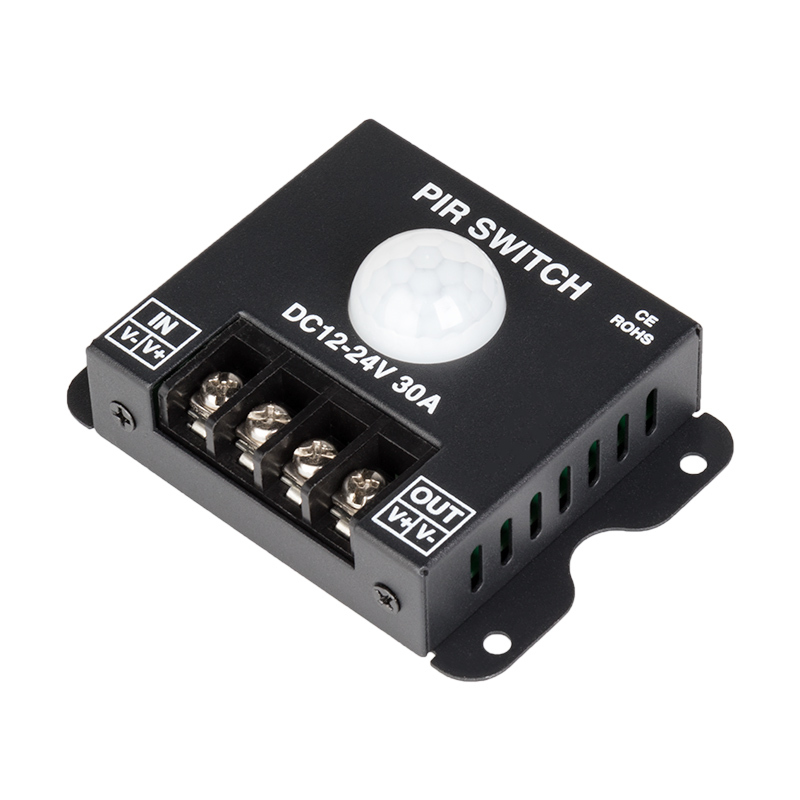 The single-channel sensor has a 30-Amp maximum load and operates within a 12-24 VDC range. Price for each. Works well for my application!! !